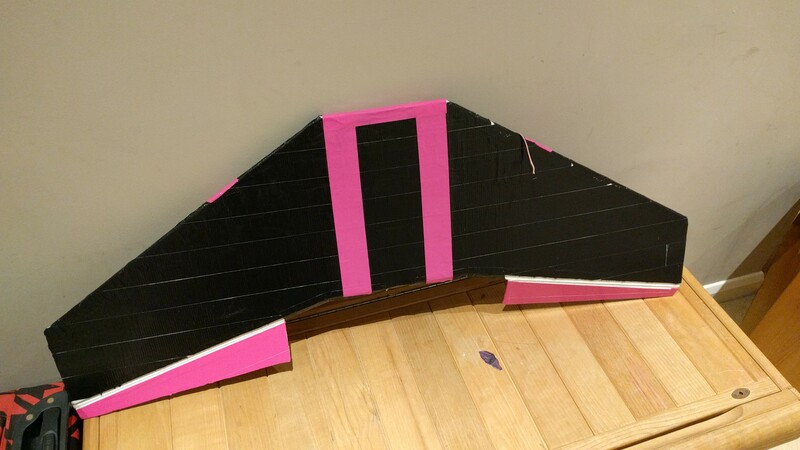 I have recently purchased a VersaWing Blunt nose, I have covered it in duct tape (Mad it super heavy) and it's dead weight (frame +servos's only) is 800G Aprox. 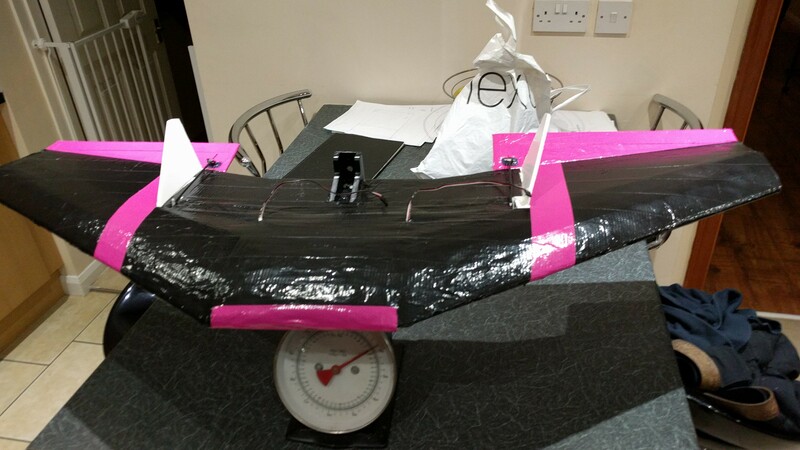 I am looking for a motor and esc that are capable of hauling this beast through the air, I would like something fairly powerful however this is my first ever time flying a plane (Apart from those tiny toys!). Originally it had 2x EDF units from a Vampire on it along with ESC's. 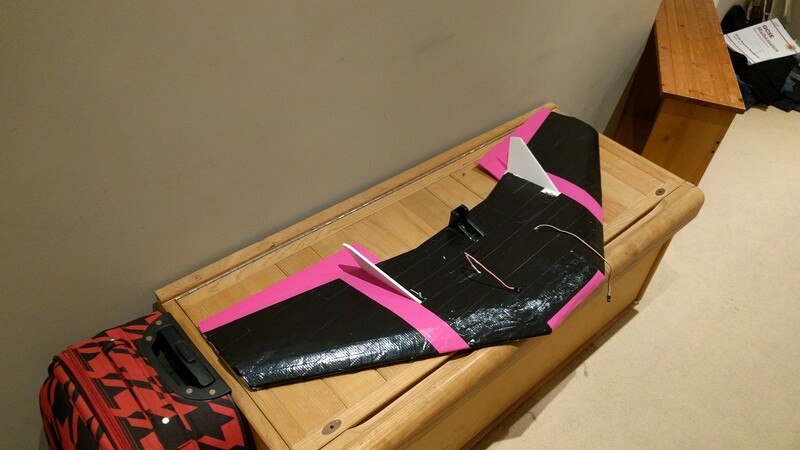 I would Like 15 mins +- some flight time, I have a 4000mAh TGY Lipo and i cant get any others so it has to work with them! What motor would you recommend? 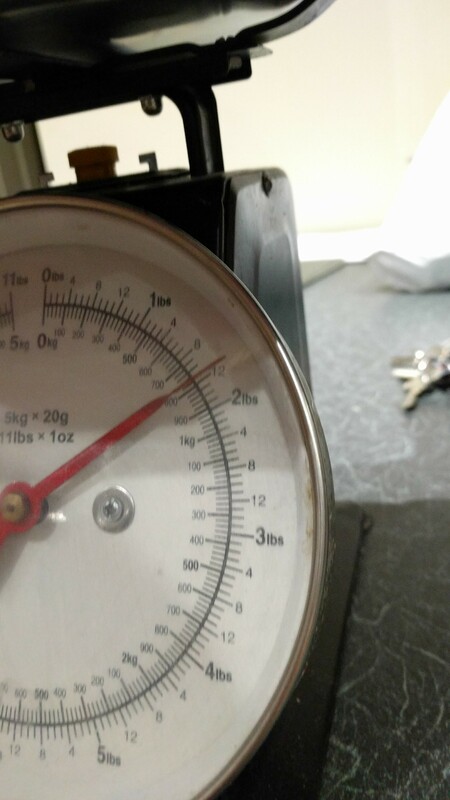 What angles should the elevons be at when neutral and max-min values? Thanks in advance! Now, Enjoy these photos tell me what you think! ARGHHH Ripping my hair out over here! I am having great success with this setup. It has immense power for unlimited vertical flight and the BNV can handle it no probs and still has lots of lift for slow landings. I don't know how much you want to spend. I try not to spend too carelessly myslef. That said let me offer an opinion on one particular motor that has never disappointed me. I haven't had many other motors to which I could compare this one but I can say that of the handful of foamies I've built this motor has always had enough power for vertical take-off's. 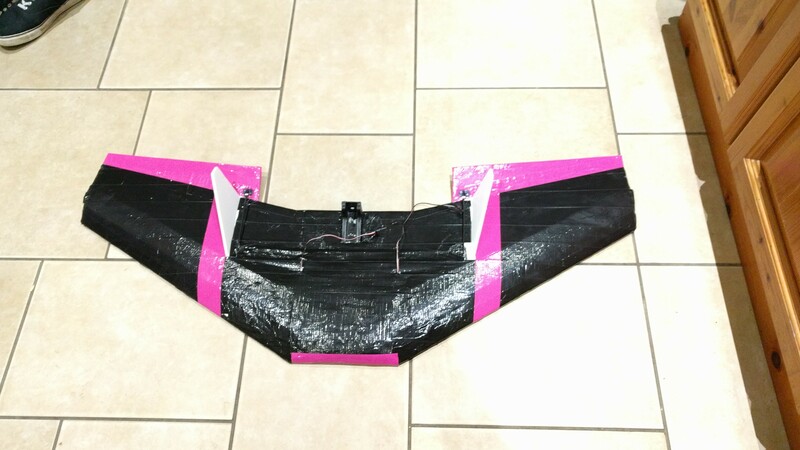 With all of your tape and your hefty Lipo I can't say I know that would be the case but my guess is that this motor with a 6 x 4 prop will fly your wing. As for the time, that depends on how you fly. At $24 for the combo pack it's a better deal now than when I bout mine years ago (and continue to use). Btw, back when I bought this it did not come with connectors. Personally I try to stay on the ligh er side since every beefier component I put on also adds weight which can be a negative factor for flight efficiency and time. I am in work on a replacement for my Versa, this one will be a bit larger and blunt nose and I intend to use this same motor again.